THE CHRISTIAN POST - By Lillian Kwon - January 25, 2010 It was an unusual Sunday morning worship at Northwood Church in Keller, Texas. Christians, Muslims and Jews sat together in the megachurch to hear an evangelical pastor preach about Jesus. The three faith groups had already visited the Islamic Center of Irving the previous day and the Temple Shalom of North Dallas on Friday before congregating inside the Christian house of worship. And they don't plan to make this a one-time event. As Northwood Senior Pastor Bob Roberts said Sunday, the three groups are making an attempt to get to know one another, understand the different teachings and worldviews, and become friends. While such multifaith worship gatherings have raised eyebrows, Roberts said they are not trying to minimize differences or compromise their beliefs. In fact, the evangelical pastor discourages it. He wants all three faith groups to be honest about their differences and hold to their core convictions. "I want to know you. Why? Because you're seeking after God," Roberts said from the Northwood pulpit Sunday as he addressed the multi-faith audience, which included Rabbi Jeremy Schneider and Imam Zia Sheikh. "If we're going to get along ... I need to understand your core convictions, how it impacts your worldview ... and I want you to understand Christianity," he told them. "I want us to be honest about our differences so that we can build a relationship." The multifaith event is the brainchild of Roberts who has observed a growing diversity of faiths in the Dallas-Fort Worth area. The number of mosques in the area has grown from two some thirty years ago to 40, Roberts said, according to Fort Worth Star-Telegram. The three services held over the weekend were not interfaith services. They were distinctly Jewish, Muslim and Christian services, respectively. Shifting from interfaith to multifaith is critical in the 21st century, Roberts said. "The old conversation of interfaith basically said if we all agree on everything then we can get along. So what we need to do is minimize our differences ... and only talk about what we do agree upon," the Baptist pastor said Sunday. "But there's a problem with that. That's great if you're liberal, if you're a liberal Muslim or liberal Christian or liberal Jew, that's fine." "But Imam Zia made it very clear yesterday that Muhammad was the prophet for his age. So if you're going to be a Muslim or go to the next life you have to accept the teaching and the position of the Prophet Muhammad," he continued. 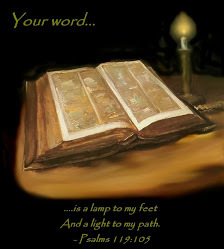 "As a Christian I also believe the verse where Jesus said 'I am the way, the truth and the life. No man comes to the Father but by me.' So if I'm going to be a committed Christian I can't pick and choose which part of the Bible I would believe. "If I'm going to be a committed Muslim I can't pick and choose which parts of the Quran I believe. Or a Jew, for the Torah." "Because truth is truth. Truth is not relative," Roberts said. "Multifaith says 'we have differences.'" "What multifaith says is 'I don't want to try to be politically correct; I want to be honest about what I believe; I want to hold true to my truth; ... I want to build relationship on honesty," he added. The greatest conflict in the world today, he pointed out, is between fundamentalist Christians and fundamentalist Muslims. "There has to be a new platform," Roberts stressed. "If we have to all convert to one religion we are never going to get along in this world. But if we can learn to respect one another, hold on to our faith passionately, follow the commands of what Jesus as Christians teaches us ... then there's hope." Throughout Sunday's worship service, Roberts did not hesitate to declare the Gospel and preached the cross and resurrection unapologetically. He also had fun with what might seem like a somber service as he joked with the rabbi and imam. "There is this sense in which we want people to know our faith ... to hear our truth and believe our truth. I do," the senior pastor said. "Would you like everybody here to be a Muslim (addressing Imam Zia)? Be honest ... you're already thinking this will be a cool mosque. I'm not offended that you feel that way. You're an honest Muslim. You're being true to who you are." He also mentioned the difficulty he had with finding refreshments that would be appropriate for both Jews and Muslims to eat. "We're nervous about cooking so you're only getting a little cookie and some orange juice," he said to laughter. "We are so confused by all the websites. We don't know what you can eat and not; we don't want to get you upset. So forgive us." Some pastors have criticized Roberts for the multifaith event and attending different places of worship with his congregation. But the Northwood pastor said he would respond to his critics by asking, "Why do you go to restaurants where people get drunk? Why do you go to movies where people undress and do things on the screen that break the heart of God ... Why do you want to get in a car built by an automobile industry driven by greed? But I don't want to have a relationship with someone who's trying to seek God? That makes sense, doesn't it?" Each of the three multifaith services held over the weekend was followed by a question and answer session which all three faith leaders participated in. Members of Northwood were advised to wear modest attire out of respect. Unedited :: Link to Original Posting http://www.christianpost.com/article/20100125/muslims-jews-christians-worship-in-evangelical-church/print.html FAIR USE NOTICE: This blog contains copyrighted material the use of which has not always been specifically authorized by the copyright owner. We are making such material available in our efforts to advance understanding of religious, environmental, political, human rights, economic, democracy, scientific, and social justice issues, etc. We believe this constitutes a 'fair use' of any such copyrighted material as provided for in section 107 of the US Copyright Law. In accordance with Title 17 U.S.C. Section 107, the material on this site is distributed without profit to those who have expressed a prior interest in receiving the included information for research and educational purposes. For more information go to: http://www.law.cornell.edu/uscode/17/107.shtml. If you wish to use copyrighted material from this site for purposes of your own that go beyond 'fair use', you must obtain permission from the copyright owner. MCCLATCHY NEWSPAPERS - By Robert W. Butler - January 10, 2010 Call it religion. Or if that makes you uncomfortable, go with the more general "spirituality." Whatever you call it, it's everywhere at the multiplex these days. In movies as varied as the dead serious "The Road," the uplifting family picture "The Blind Side," the biting comedy "The Invention of Lying" and even James Cameron's sci-fi opus "Avatar," issues of faith and morality and mankind's place in the universe are all the rage. Not all of these movies embrace religion. Some question human gullibility. Some ask for evidence of a higher purpose in what often seems a random universe. But whether they encourage prayer or doubt, they're all part of the zeitgeist. But why now? "There are two schools of thought about that," said Greg Wright, an editor at www.HollywoodJesus.com, a Web site that examines popular culture from a religious perspective. "The more paranoid elements of our culture tend to think Hollywood has a proactive agenda, that producers have a grand scheme to use movies to shape the thinking of audiences. I don't subscribe to that school. "I believe that Hollywood gives audiences what audiences want to see. If people don't want to see movies with certain messages, they won't buy tickets. "So if there's a trend out there, it's one reflecting what people are already thinking and feeling." And what are we thinking? Sister Rose Pacatte, who reviews movies for the Pauline Center for Media Studies in Los Angeles, says it isn't mere coincidence that a new animated version of Dickens' "A Christmas Carol" came along in 2009. She notes that the film was released in the wake of an economic crisis fueled by greedy self-interest on an unprecedented scale. "Being a good man of business will not save your soul. That's an essential message of 'A Christmas Carol' and one emphasized by this version," she said. Dickens' tale may have little to say about God and Jesus, but it stresses charity and the dangers of poverty and ignorance, she noted. Other current films, while not overtly religious, stress the idea of human beings as dependent on one another and responsible for one another's well-being. Sister Pacatte pointed to "Up in the Air," in which George Clooney plays a loner whose job is to fire downsized employees and who has attempted to insulate himself from all human commitment. "In some ways it's a modern 'Christmas Carol,' with Clooney's character becoming a bit more human, becoming more aware of himself and others." "Avatar" depicts humanity as a rapacious race represented by a soulless corporation and largely incapable of appreciating the simple ecological spiritualism of an alien race. Of course, some films put religion front and center. "Of these films, 'Blind Side' has the most evangelical world view," said Mark Moring, senior associate editor at Christianity Today. "It's a movie based on real people who are devout Christians and whose faith clearly played a big part in their reaching out to this young homeless man and turning his world around." That "The Blind Side" has become a runaway hit should further encourage Hollywood to deal with religious themes, Moring said. "When 'The Passion of the Christ' came out in '04, it showed Hollywood they could make lots of money with in-your-face spiritual themes. It taught them they don't have to be afraid of going with religious if not specifically Christian ideas. 'Blind Side' reinforces that." Wright at HollywoodJesus.com believes that "the market dynamics of film are just beginning to sort out what happened in the wake of 'The Passion of the Christ.' Given that film production cycles can take several years, I expect to see more religious-themed films in coming months." Most likely the big studios quickly will lose interest in faith-themed subject matter, Wright predicted. "Hollywood is all about cycles. This one will pass," he said. "The films that really matter, that actually have something to say, are the indie titles that sneak into the Hollywood distribution system or make their way to home video or the film festivals. "That's where the real future of spiritual movies is - with niche independent filmmakers who are finding distribution channels that work for them. Hollywood will always have a huge appetite for big tent-pole films. But that leaves an opportunity for others to make more modest movies about things that matter." ... Edited :: See Original Report Here - See list of current movies http://www.insidebayarea.com/search/ci_14103606 FAIR USE NOTICE: This blog contains copyrighted material the use of which has not always been specifically authorized by the copyright owner. We are making such material available in our efforts to advance understanding of religious, environmental, political, human rights, economic, democracy, scientific, and social justice issues, etc. We believe this constitutes a 'fair use' of any such copyrighted material as provided for in section 107 of the US Copyright Law. In accordance with Title 17 U.S.C. Section 107, the material on this site is distributed without profit to those who have expressed a prior interest in receiving the included information for research and educational purposes. For more information go to: http://www.law.cornell.edu/uscode/17/107.shtml. If you wish to use copyrighted material from this site for purposes of your own that go beyond 'fair use', you must obtain permission from the copyright owner. NEW YORK TIMES [NYTimes Group/Sulzberger] - By Scott James - February 4, 2010 Raj Patel’s desk sits in a dusty, cement-floored nook in his garage, just beyond a parked gray Prius, near the washer and dryer. They are humble surroundings for a god. “It is absurd to be put in this position, when I’m just some bloke,” Mr. Patel said. A native of London now living on Potrero Hill in San Francisco, Mr. Patel suddenly finds himself an unlikely object of worship, proclaimed the messiah Maitreya by followers of the New Age religious sect Share International. He was raised as a Hindu and had never heard of the group. He has no desire for deification. But he may not have a choice. Mr. Patel’s journey from ordinary person to unwilling lord is a case of having the wrong résumé at the wrong moment in history. For this is a time when human yearning to find a magical cure for the world’s woes can be harnessed to the digital age’s instant access to a vast treasure-trove of personal information. I have known Mr. Patel for four years - he keeps an office down the hall from mine. He is charming, and as a graduate of Oxford, Cornell University and the London School of Economics, he is considered brilliant, although he is self-effacing. He readily admits to being imperfectly human. People began to believe otherwise on Jan. 14 in London when Benjamin Creme, the leader of Share International, who is also known as the Master, proclaimed the arrival of Maitreya. The name of the deity has Buddhist roots, but in 1972, Mr. Creme prophesied the coming Maitreya as a messiah for all faiths called the World Teacher. Mr. Creme did not name the messiah, but he revealed clues that led his devotees to fire up their search engines on a digital scavenger hunt that would lead them to The One. About this time Mr. Patel was publicizing his new economics book, “The Value of Nothing.” With blogging, biographies and talk show appearances, the details of his life and views permeated the Internet ether. Crowds packed his readings, his book debuted on the New York Times best-seller list, and he appeared on “The Colbert Report” on Comedy Central. The Maitreya clues - his age (supposed to be born in 1972; Mr. Patel was), life experiences (supposed to have traveled from India to London in 1977; Mr. Patel was taken on a vacation there with his parents that year) race (supposed to be dark-skinned; Mr. Patel is Indian) and philosophies - all pointed to him. Some believe Maitreya will have a stutter. When Mr. Patel tripped over a few words when talking with Mr. Colbert, it was the final sign. “It became a flood,” said Mr. Patel, referring to a torrent of e-mail messages that asked: “Are you The One?” He removed the contact information from his Web site, but dozens of pages, discussion groups and videos have emerged online proclaiming his holiness. Mr. Patel has emphatically and publicly denied being Maitreya. Bad move. According to the predictions, “Maitreya will neither confirm, or will fail to confirm, he is Maitreya,” said Cher Gilmore, a spokeswoman for Share International. Ms. Gilmore said Mr. Creme would not say if he believed Mr. Patel was the messiah. Ben Shoucair, 24, a college student from Detroit, does not need more convincing. He said he saw Mr. Patel in a dream, and then was stunned to find a YouTube video and discover his vision was real. Last week, Mr. Shoucair and his father spent $990 on last-minute tickets to fly to San Francisco to be in Mr. Patel’s presence at a book promotion. Reached by phone this week, Mr. Shoucair said meeting Mr. Patel had made him “happy.” He said the Maitreya evidence was irrefutable. “It puts it all on Raj Patel at this time in history.” Mr. Shoucair seemed amazed when told that Mr. Patel did not believe he was the messiah and had never heard of Mr. Creme. “See how deep the spiritual world is,” Mr. Shoucair said. Mr. Patel said of their pilgrimage: “It broke my heart. They’d flown all the way from Detroit.” Share International’s beliefs are rooted in the Theosophical movement popular in Britain in the late-19th century; it later evolved into New Age beliefs, said Ted F. Peters of the Graduate Theological Union in Berkeley. Messiahs have been declared before, only to disappoint. “It’s incredibly flattering, just for an instant,” Mr. Patel said of his unwanted status. “And then you realize what it means. People are looking for better times. Almost anything now will qualify as a portent of different times.” Unedited :: Link to Original Posting http://www.nytimes.com/2010/02/05/us/05sfmetro.html?partner=rss&emc=rss FAIR USE NOTICE: This blog contains copyrighted material the use of which has not always been specifically authorized by the copyright owner. We are making such material available in our efforts to advance understanding of religious, environmental, political, human rights, economic, democracy, scientific, and social justice issues, etc. We believe this constitutes a 'fair use' of any such copyrighted material as provided for in section 107 of the US Copyright Law. In accordance with Title 17 U.S.C. Section 107, the material on this site is distributed without profit to those who have expressed a prior interest in receiving the included information for research and educational purposes. For more information go to: http://www.law.cornell.edu/uscode/17/107.shtml. If you wish to use copyrighted material from this site for purposes of your own that go beyond 'fair use', you must obtain permission from the copyright owner.